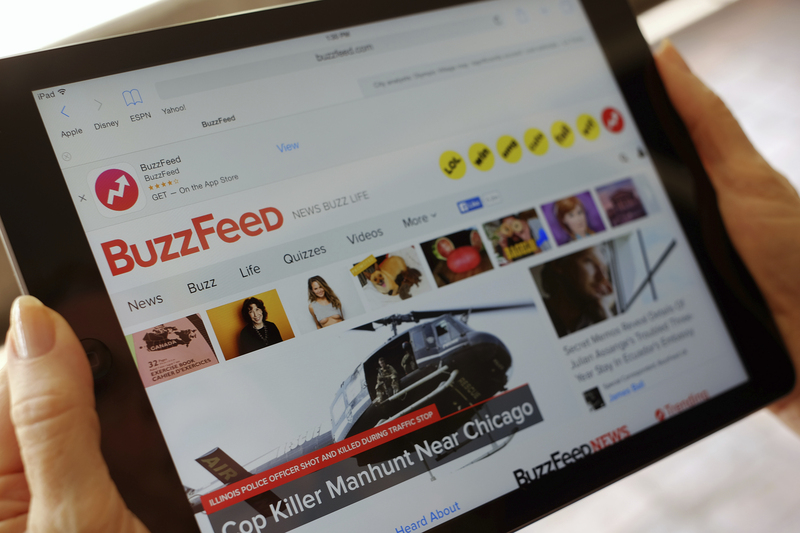 A consultation letter announcing 11 job redundancies was delivered to 25 people at BuzzFeed Australia on Tuesday morning, with 14 employees to be reallocated to remaining positions. The entire editorial team in news, entertainment and lifestyle were among those who received the letters. “We’ve been told BuzzFeed is ‘reducing its overall news footprint’,” Alice Workman, political editor at BuzzFeed Australia, said. Company founder Jonah Peretti announced plans to cut 200 jobs worldwide last week, or 15 per cent of its workforce, in an attempt to reduce costs without resorting to further fundraising. “The restructuring we are undertaking will reduce our costs and improve our operating model so we can thrive and control our own destiny, without ever needing to raise funding again,” Peretti said in an email. The company has chiefly made bank through its revenue-per-click business strategy which ushered in the digital age of media. But Peretti told employees revenue growth has not been “enough to be successful in the long run”. BuzzFeed was badly hit by changes in the Facebook algorithm last year, which saw posts from family and friends prioritised over business. Lane Sainty, a reporter at BuzzFeed Australia, said that the future of the Australian news branch now remains uncertain. “We haven’t been told how many people are being cut from each specific team, so it’s unclear what BF Oz News will look like after this process,” she said on Twitter. Known as an Internet entrepreneur in the digital age, Jonah Peretti grew up in Oakland, California. His father is of Italian and English descent and his mother is Jewish, while his stepmother is African-American. Peretti’s other projects include The Huffington Post, which he co-founded in 2005 before co-founding BuzzFeed in 2006. Although the website’s beginnings were in meme content, quizzes, lists and celebrity gossip, it expanded into hard news in 2012 and in 2014 launched its Australian branch led by Simon Crerar, a journalist formerly with the UK’s The Times and other News Corp publications. BuzzFeed Australia has played a frontline role in breaking significant news across Australia in recent years, including groundbreaking reporting on abortion access and law reform in Queensland carried out by Sydney journalist Gina Rushton. Her work on the subject contributed to the eventual decriminalisation of abortion in Queensland in late 2018. The platform has also caused controversy for publishing unverified material, with BuzzFeed Australia currently being sued by Federal MP Emma Husar over a series of articles she claims were defamatory. Nevertheless, BuzzFeed is considered to be a pioneer in digital publication, having revitalised media for millennials. The Guardian Australia released a solidarity statement on Tuesday, in support of those affected by the company’s restructuring. “Guardian Australia’s MEAA members are deeply disappointed at the cuts announced to BuzzFeed’s Australian newsroom, and offer our solidarity to affected staff,” the statement said. “These cuts represent a significant blow to media diversity.